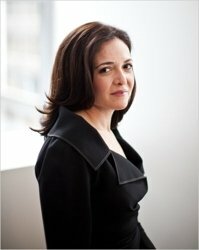 For the first time, Facebook has admitted that its struggling to fend off heightened competition from the likes of Twitter and Tumblr, with the admission coming from Sheryl Sandberg, the companies Chief Operating Officer. This comes on the back of news that Twitter is now getting 400 million tweets per day. MySpace has rebranded and changed emphasis since its heyday, when it was the standout social site of its time. In a candid talk at a technology conference, Sandberg said that teenagers are still using Facebook, but they are also increasingly using rival services like Twitter and Tumblr in higher volumes. Officially, the California based social giant maintains that its overall volume of teenagers is still growing, some feat in itself considering its 1 billion user base, but teenagers are ‘using other things more’. This development is somewhat similar to the social media landscape in the summer of 2006. Then, as is the case now, we had a dominant social media machine. MySpace had 500 million users and was the unstoppable social giant of its time. In a brutal demonstration of just how quickly social media fashion can swing, the incumbent giant was rendered almost obsolete within 24 months. Back then, it was the young upstart Mark Zuckerberg who was doing the usurping. His start-up ‘The Facebook’ was making waves, winning over the young early adopter market at a stunning rate of knots. Facebook rise was meteoric, swashbuckling its way to 1 billion members within five years, leading to a high profile IPO and a movie chronicling its story. Mark Zuckerberg became one of the leading digital entrepreneurs of the 21st century on the back of Facebook. The intervening years have led to a radically different social media environment. The rise of Twitter has largely come at no notable cost to Facebook, indicating that social media does not have to be a zero sum game in the way that it seemed to be in 2006. If anything Facebook’s teetering position seems to be as a result of its own wild success as much as anything. The young, early adopter market is notoriously fickle, but if anything is likely to turn them away, it is probably the presence of their parents on the site. Other factors have played out against Facebook at various times. Facebook’s privacy concerns, which at times threatened to derail its trajectory, came from Mark Zuckerberg’s desire to ensure that the platform was as open as possible. Zuckerberg had long since realised that Facebook metrics improved with open sharing, and his public disdain for privacy owed a lot to the fact that privacy led to lower user engagement. Whatever his private feelings, Facebook’s success relied on it being an open platform, where users could visit profiles at will. However much social media offers room for growth for everybody, there ultimately comes a point when users reach social fatigue. The socially hungry, web savvy and heavily engaged early adopters are the lifeblood of social media, and any social site is in a dangerous place when it starts to shed these users. Additional challenges lie in the most valuable markets, such as the USA, UK and Australia. These are the markets where the marketing money flows fastest, yet these are the countries where Facebook is starting to stutter the most. So growing numbers of young users overall, many coming from emerging markets where the growth comes easy but the marketing dollars are yet to follow, should be a red flag to any investor. So the final question remains over Facebook – can it develop to become part of the web canvas, a company with the staying power of other web giants like Amazon and Google? Or will it become MySpace 2, witnessing a decline as steep as it’s amazing rise?